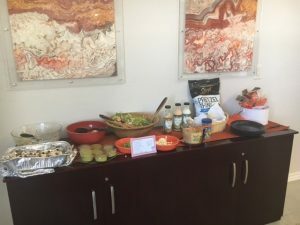 Red Rock Consulting really upped the stakes for the summer wellness program this year! 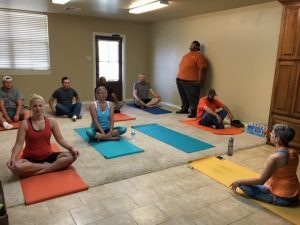 We enjoyed FREE yoga at the office twice a week all summer for all employees. Additionally, Polly planned monthly health and wellness seminars, healthy potluck lunches, activities and more! 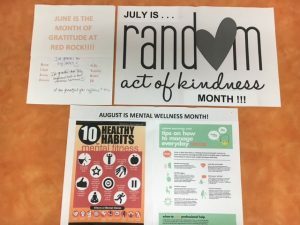 We started off with June, the month of gratitude, followed by July, the month of kindness, and ended with August, the month of mental health. We sure are GRATEFUL for the KINDNESS of Miss Polly! Look at all these yoyos! 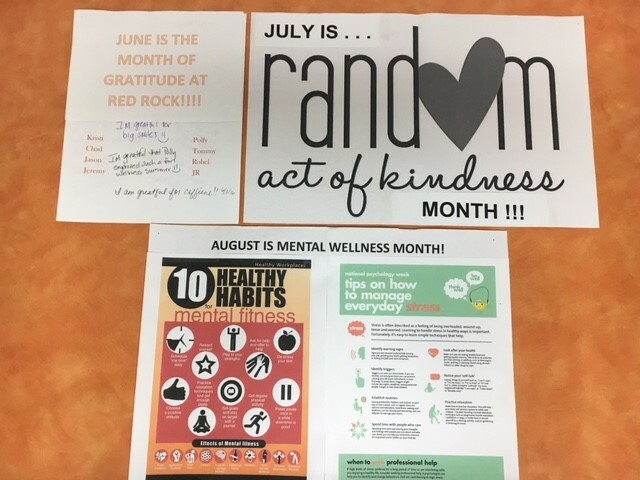 All of the summer wellness bulletin posters. 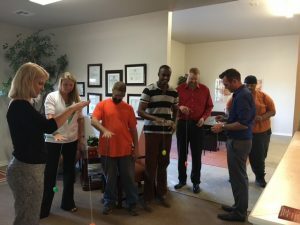 This entry was posted on Friday, September 9th, 2016 and is filed under Company Info. You can follow any responses to this entry through RSS 2.0. You can leave a response, or trackback from your own site.